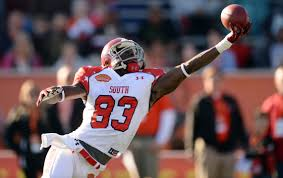 This is the third in a six part series covering the 2014 Senior Bowl and practices that occurred in January that could give you more insight for your rookie drafts. The young back has soft hands and impressed me with a one-handed catch that he made off-balance. He is a fighter when it came to pass blocking drills as he never gave up. Andrews uses his quick feet, runs crisp routes gaining separation from his coverage, and carries the ball well inside. He did not finish the practice, but he looked fine standing on the sidelines. The receiver made a habit of confusing his coverage by starting a route to the inside and then crossing up to break outside. I don’t think I saw him catch the ball with anything, but his hands, never letting it into his body. Abbrederis shows good body control, catches the ball well in traffic, and moves well laterally. Once again he was the best receiver in the North. We take a quick walk down memory lane to give you some more insight into your rookie drafts. The slim receiver has a good burst, catches the ball in front, and always catches the pigskin with his fingertips. 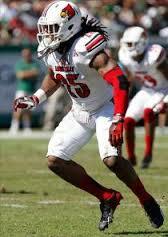 He isn’t afraid to make the difficult catch in traffic, and creates separation with crisp routes and good footwork. Abbrederis is the best North receiver in my eyes. Andrews improved on his great Monday practice with a better one on Tuesday. He did not let a single robber get past him in the pass blocking drill. The back kept his feet driving, so he might get the chance to be a three down back with a little seasoning. Andrews has quick hips, can start and stop on a dime, and uses good downfield vision to help him read running lanes and key on blocks.